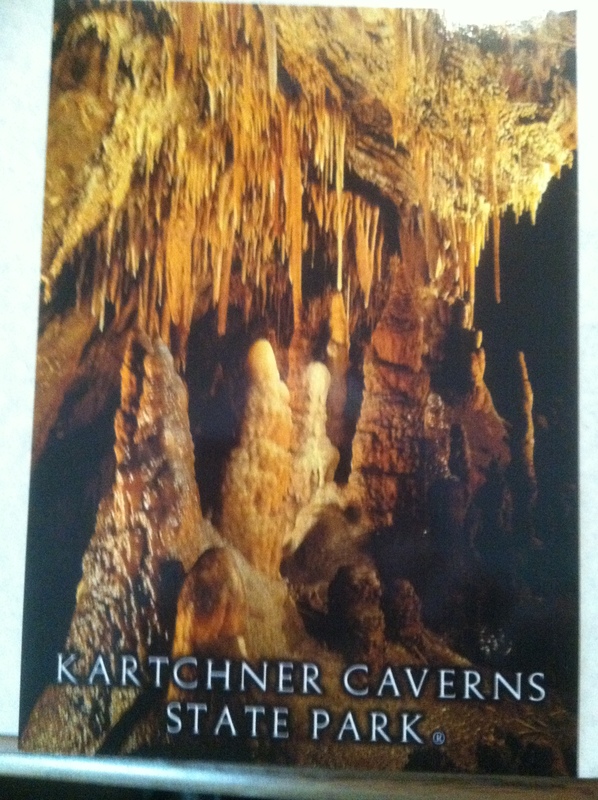 I went to Kartchner Caverns and all I got was this lousy picture of a postcard. Nestled in the limestone base of the Whetstone Mountains, 50+ miles southeast of Tucson, Kartchner Caverns was once a hidden treasure of Arizona. When happened upon by two cavers, Gary Tenen and Randy Tufts, (you can thank me when you win Final Jeopardy with that little fact) in 1974, they entered the cavern through the Blowhole. As the two spryly squeezed through this natural entry, a space the size of a metal coat hanger stretched into a circle, they quickly realized the breadth of their discovery. Fearing the exploitation that would fall upon this unprotected treasure, the men kept it secret for several years before enlightening the property owners. The Kartchners, cavers, and eventually the state of Arizona, worked painstakingly to protect and preserve this living cavern. Yes, it’s aliiiiiiive! Which means with a continued water source and a maintained humid climate, the cavern continues to evolve. And let me tell you, these folks are serious about keeping this bad boy alive. Before embarking on a tour of the Big Room, our guide intrigues us with the story of discovery and smacks us with the following rules: no cameras, no jackets, no bags, no touching (or a marker will be tied to the railing closest to the scene of the crime). As our tram weaves its way to the manmade entrance of the caverns, a vault-like door looms ahead. With a two person team of guides, one in front and one in rear, we enter the first of several chambers. Once our group is inside, the outer door seals shut. Only then is the next door open for us to proceed. At one point we walk beneath a mist to “decontaminate” us to protect the cavern from loose particles that we could leave behind. After my recent sight-seeing at Carlsbad Caverns, I wasn’t sure I would be all that impressed with this space. I was as wrong about that as I was about my certainty in winning the Mega Millions. This cave is breathtaking. It’s a combination of feeling a little overwhelmed by the walls tightly hugging you and the intricacies that are crammed into such a space. Where the magnitude of Carlsbad is fascinating, the intimacy of Kartchner was its true magic. Dimly and enticingly lit, your eyes trace the cavern walls as the guide speaks the story of this cave’s life. The lines where water once filled the cave nearly to the brim, the pencil-thin formations that lengthened by droplets over thousands of years, painted a picture of the cavern’s evolution. With formations that artistically bring to life their namesakes of cave bacon, fried egg, turnips, soda straws, and Strawberry Room, who needs pictures? Well, a few would have been nice. But this lousy picture of a postcard will have to do.